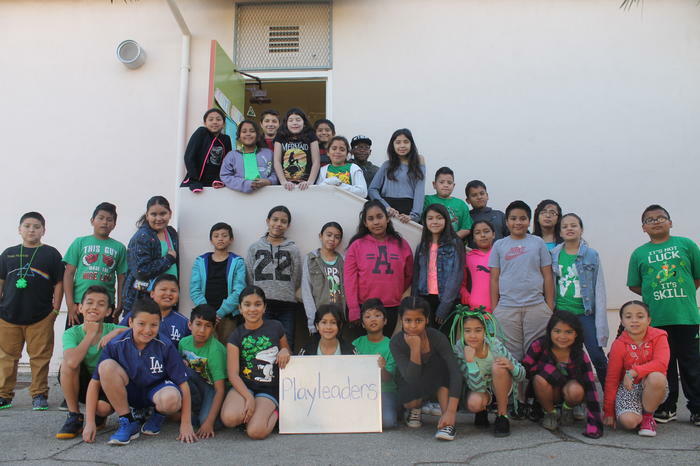 Students in grades 3-5 are provided the opportunity to be Play Leaders at recess and lunch. Play Leaders help Vinedale's staff keep an eye on the younger students and make sure everyone is safe while having fun. They also act as role models to the younger students by showing them how to act properly and helping them learn Vinedale rules. New Play Leaders are chosen every week so that everyone is rewarded with the opportunity of being in this special position. Students, if you are interested in being a Play Leader, please contact Miss Diana at recess.